This stylish and exquisitely furnished modern center promotes a stimulating and inspirational atmosphere and would suit a variety of business types and sizes. With a convenient location close to major highways and just 15 minutes to LAX. The regional transport links are also excellent, with a range of frequent and convenient services in operation throughout the area and functioning across numerous road and rail networks. 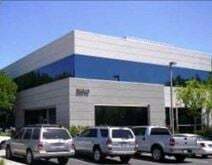 Leased office space situated in Mission Viejo that lye’s close to the I-5 and I-405 freeways. The centre is located in beautiful surroundings in a tree lined compound close to Alicia Parkway. The offices are turnkey and include high speed internet, fully furnished office suites, admin support, and 24/7 building access. With a host of quality amenities, including a putting green and picnic area, and close to an array of restaurants and shops, this Class A center offers bespoke office solutions on flexible terms to suit the needs of your business, no matter what its size or budget. The regional transport links also offer numerous convenient and frequent travel options throughout the immediate locality, making the site easily accessible.